Six Utah cities signed up for a new election method aimed at giving voters more say. At least half of them have bailed out — and more may follow. (Francisco Kjolseth | Tribune file photo) Mailed-in ballots speed through a sorting machine that can process up to 19,000 ballots an hour, taking pictures of the signature on the exposed affidavit and reading the bar code that shows a voter has returned their ballot for immediate confirmation, Salt Lake County ballot center, Oct. 31, 2018. At least half the Utah cities that were planning to pilot a new voting method are backing out ahead of their 2019 municipal elections, citing complications with implementation and voter education. These challenges appear to outweigh, for now, ambitious visions of boosting turnout and saving money through so-called ranked-choice voting. Lehi this week became the latest city to bail out, leaving fellow Utah County cities Salem, Payson and Vineyard to decide whether to stay aboard. With a 4-1 vote, the council joined Cottonwood Heights and West Jordan in withdrawing from the project. Councilman Paul Hancock, who had proposed a “hybrid model” that would use ranked-choice voting for the primary election and traditional voting for the general election, was the dissenting voice. But the council worried the verbiage in the bill that created the pilot project would not specifically allow that option. However, an amendment to the bill that took effect Wednesday when the governor signed it would allow cities the flexibility to use the new method for a primary followed by a traditional general election. Under the ranked-choice voting system originally authorized by the Legislature, voters would see a full slate of candidates in the general election and rank their favorites, rather than choosing from the survivors of a primary contest. In a crowded field, the candidate with the fewest first-place votes is eliminated and those voters’ second pick gets his or her votes. The person with the fewest votes is then dropped again and those votes allocated to the remaining candidates. That process repeats until there’s a candidate with a majority of the votes. Advocates of the system say it could decrease voter apathy because people would feel their vote matters more. And because the system would eliminate a primary, it could also save money and change the dynamics of the election, with candidates focusing more on issues than on their opponents. Still, Roberts, R-Salem, said he’s hopeful the remaining cities will choose to stay in. “When we started this thing out we were hoping to get two to three to do it and we got six or seven; we might end up with two or three,” he said, arguing that’s still a sizable showing since only a handful of cities across the country have tried the method. While proponents say ranked-choice voting has its benefits, implementing it comes with challenges. All the cities in Salt Lake County, for example, contract with the county to run their elections ― and its voting machines don’t accommodate ranked-choice voting. That means cities that wanted to try the new system would need to either contract with an outside entity or run their own elections with their own equipment. 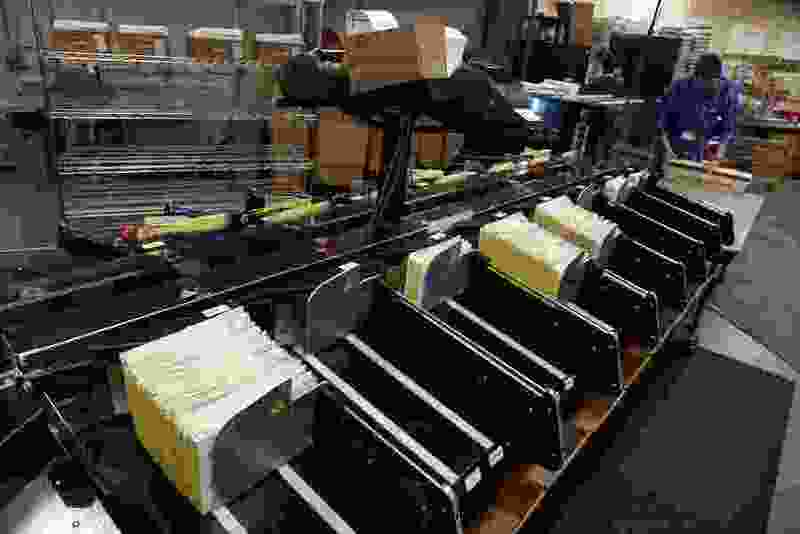 The machines in 21 of Utah’s 29 counties could implement ranked choice voting with software upgrades. Though Cottonwood Heights opted out this year, Mayor Mike Peterson said the city is “conceptually” supportive of ranked-choice voting and wants to move in that direction eventually, when it’s able to do so through the Salt Lake County Clerk’s office. “It’s a good direction and we’ll be excited when we’re able to implement it in the future,” he said. After West Jordan residents voted in 2017 to switch from a council-manager form of government to a strong mayor, the 2019 election will be more complicated than usual, said city spokeswoman Kim Wells. That’s part of the reason why the city sent a letter March 15 to the Lieutenant Governor’s Office indicating it had decided to opt out of ranked-choice voting this year. West Jordan and other municipalities had indicated previously they were moving forward with the pilot project, which the Legislature had approved early last year, in part because of the ability to back out. That possibility was codified in Roberts’ HB277, signed into law Wednesday, which also made several changes to the original bill, including creating an April 15 deadline for cities to opt in or opt out. It also allows a local government to form an agreement with another entity to conduct an election on its behalf. As Utah’s capital city faces a crowded mayoral election — with nine candidates already announced — many residents have called on the Salt Lake City Council to adopt ranked-choice voting. But even with an extended deadline to take part in the project, City Council Chairman Charlie Luke said that won’t happen this year. The Payson City Council plans to discuss whether to withdraw from the project Wednesday and Vineyard will consider it a week later, on April 10, according to city recorders. Salem did not respond to a request for comment. If no cities end up committing to ranked-choice voting this year, the election will move forward as normal, with the opportunity for any municipality to opt in for future election cycles until 2026, Roberts said. - Tribune reporter Christina Giardinelli contributed to this report.